Mr Robert Jones provides a comprehensive general urological service including the diagnosis and treatment of kidney, bladder, prostate and male genital conditions. His area of special interest is in the evaluation and management of lower urinary tract problems, including the full range of surgical options for female urinary incontinence and male prostate enlargement. He offers thorough investigation and a careful explanation of the condition, as well as of the available conservative and surgical treatment options (often minimally invasive daycase surgery). In parallel with his full time NHS Consultant role in Taunton, he also works at Nuffield Health Taunton Hospital as part of the Somerset Urology Associates group. 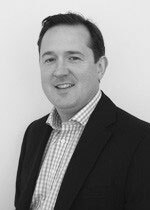 Mr Jones graduated from Nottingham University Medical School in 1994 and completed his surgical and urological training in the Midlands in 2008. Prior to starting his Consultant post at Musgrove Park Hospital in January 2010, he gained additional sub-specialist expertise in Female and Reconstructive Urology at Bristol Urological Institute through a 12 month fellowship awarded by The Royal College of Surgeons of England. He has published several papers and book chapters and has given presentations at national and international meetings on the subject of urinary incontinence. Mr Jones is married to Rachel, who is a local GP and they have two young daughters. Mr Robert Jones does not hold a share or financial interest in this hospital, another Nuffield Health hospital or the company. Mr Robert Jones does not have a share or financial interest in equipment used at this hospital or another Nuffield Health hospital. Mr Robert Jones does not hold any paid advisory role(s) at this hospital or on behalf of Nuffield Health.